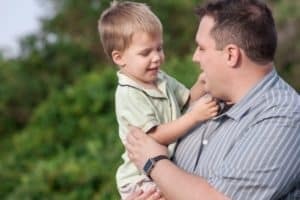 If you have just welcomed a new child or stepchild who has special needs into the family, you probably have questions and need some help sorting out your new life. You are not alone – many families like yours feel overwhelmed. Of course you want to meet your child’s immediate needs, but you also worry about the future. One big obstacle Illinois families face is access to services. If your child has developmental disabilities, there is a special waiting list for priority to access services called the PUNS list. Get your child on the list by calling the agency in your area that registers individuals in the PUNS to schedule an in-person appointment. Do not delay in getting on the list (even if your child does not need the services quite yet), there are services available even for minor children regardless of parents’ assets and income as well as a priority for adult services that comes along with the length of time on the PUNS. In addition, most Illinois families of children with special needs benefit from setting up special needs trusts. They help you ensure there is money to meet your child’s daily needs and medical expenses, while maintaining their ability to qualify for government benefits. Another extremely valuable tool for families are letters of intent. A letter of intent gives a snapshot of the day in the life of the child with special needs. In addition, it often includes detailed information about doctors, medicine, school, likes, dislikes, personality, and more. Families use letters of intent to give guidance to future guardians on how to best care for children with special needs. If you are welcoming a new stepchild into your family, you might ask the child’s parent or parents to write a letter of intent. It can help you become more familiar with your stepchild and better care for him or her. Further, look into applying for government programs that provide vital services or funding for your child because of his or her special needs. Many children with special needs qualify for the Children’s Health Insurance Program, which provides insurance for young children and often does not require large premium payments. Children in families with lower income may qualify for SSI (Supplemental Security Income) from the Social Security Administration. Finally, seek assistance from professionals such as lawyers, doctors, and educators as you begin a new life with your child or stepchild. Raising a child with special needs can be a challenging adventure, and you may need all the help you can get.